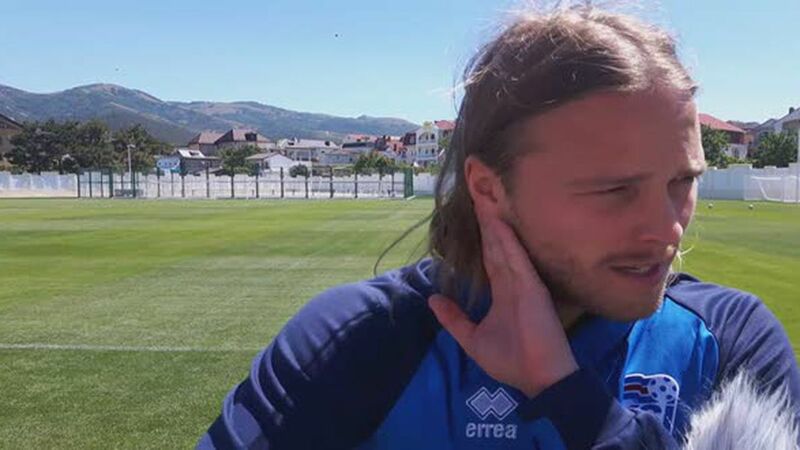 Long-haired midfielder Birkir Bjarnason couldn't participate in the national football team's practice yesterday in Gelendzhik in Russia due to injuries but returned today. 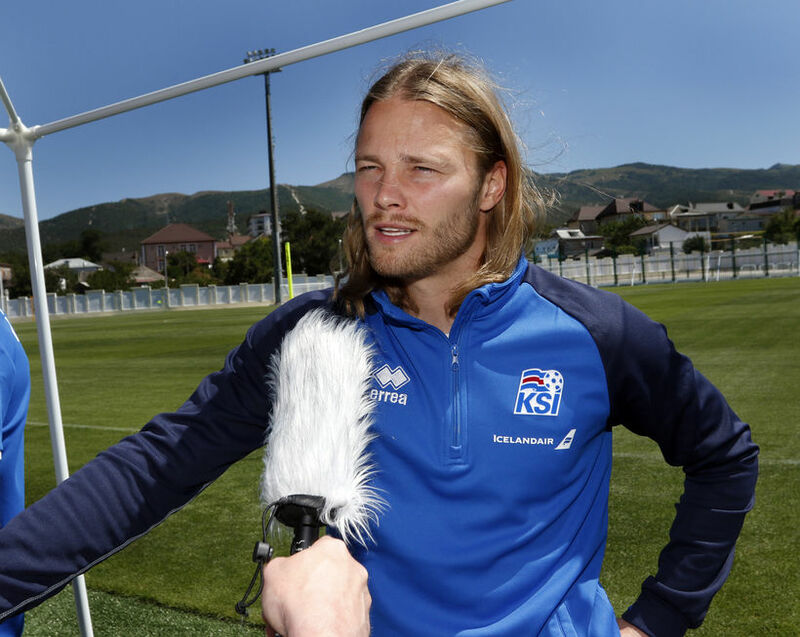 He told mbl.is today that he got a sprain in his gluteal muscles when he played against Ghana in Reykjavik. He got an X ray done and "Things should be fine," he said. H"I was worried," he told mbl.is. "It's not fun to get injured just before the world cup but things are looking better now." Talking about next Saturday's match against Argentina he said ,"I think it's good for us to play against such a great team in our first match. We know Messi can do a lo but we just have to play and be firm. They're all great. Argentina is one of the teams that can go all the way"